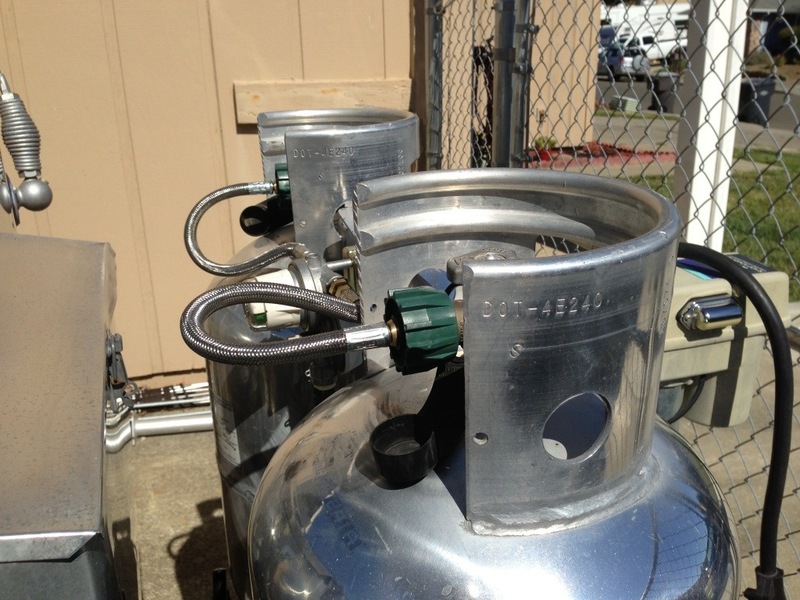 New propane regulator | 1960 Airstream Ambassador Blog! 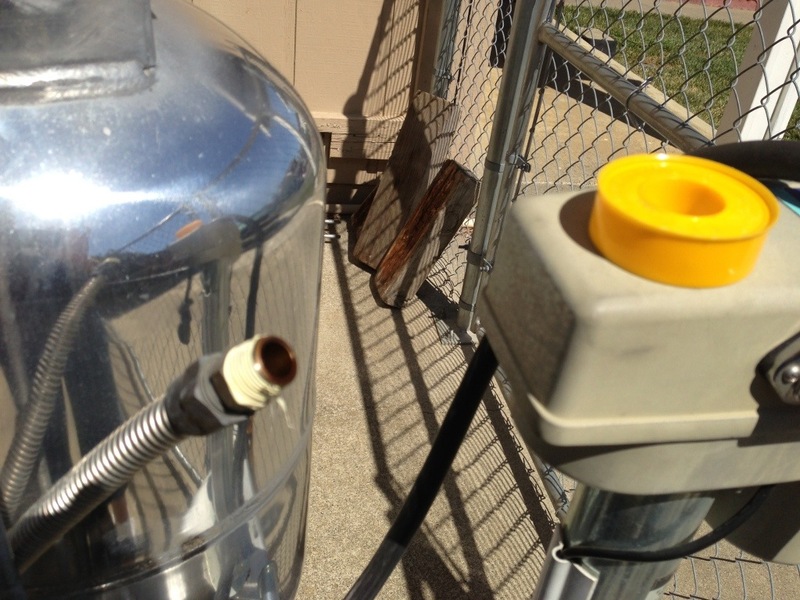 On our last trip I noticed our auto-switching propane regulator always indicated an empty tank. 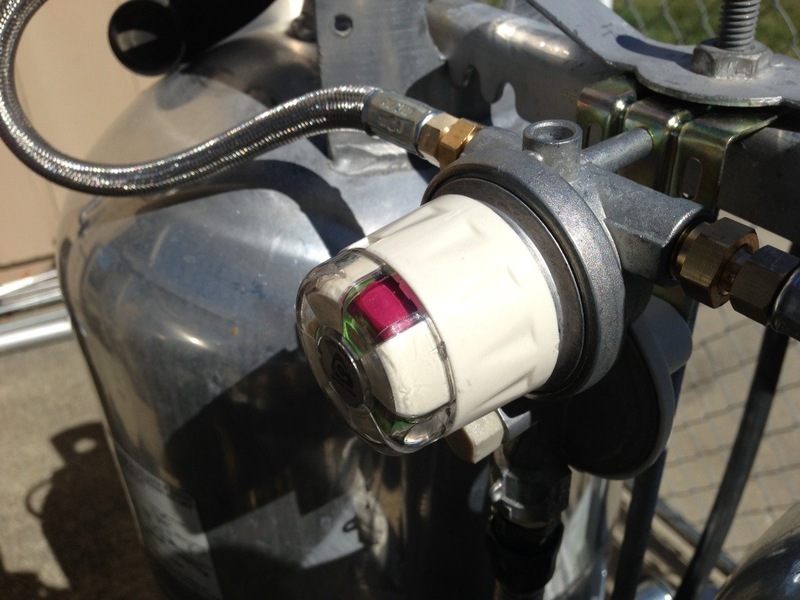 In case you don’t know, auto-switching regulators typically have a red/green indicator, which turns red when the tank is empty. There is a dial or knob of some kind to switch the indicator to the opposite tank. 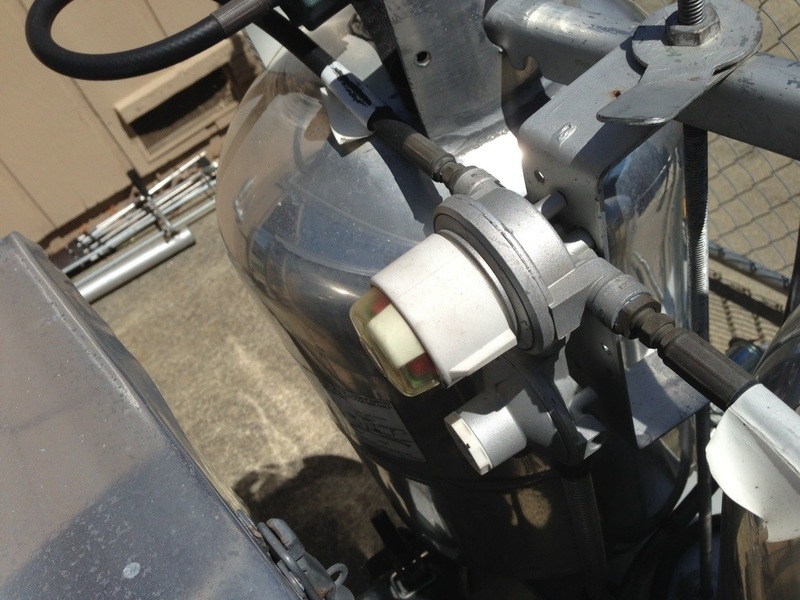 The propane itself auto-switches to keep your appliances supplied with propane without interruption. When turning the dial, you are only setting the indicator’s source. That said, my seven year old regulator always showed empty. 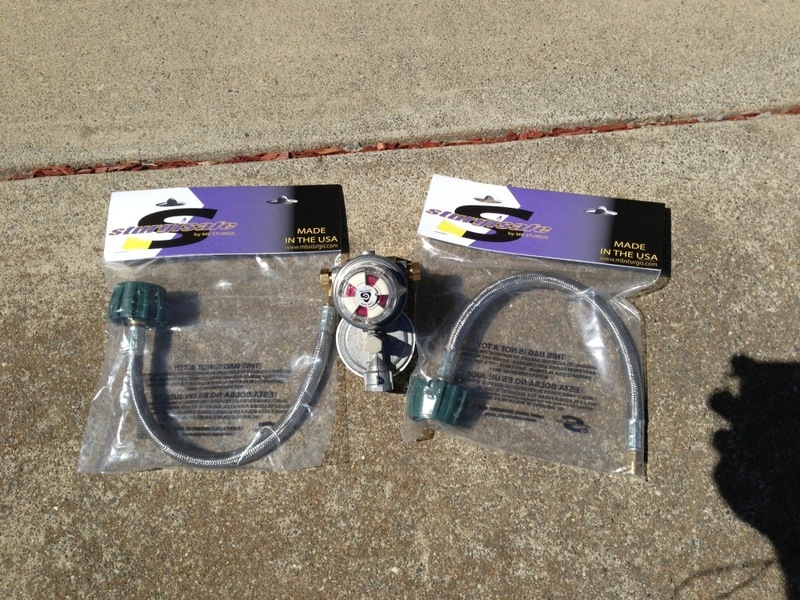 I decided to replace the regulator and hoses. These new stainless braided hoses are a nice addition. 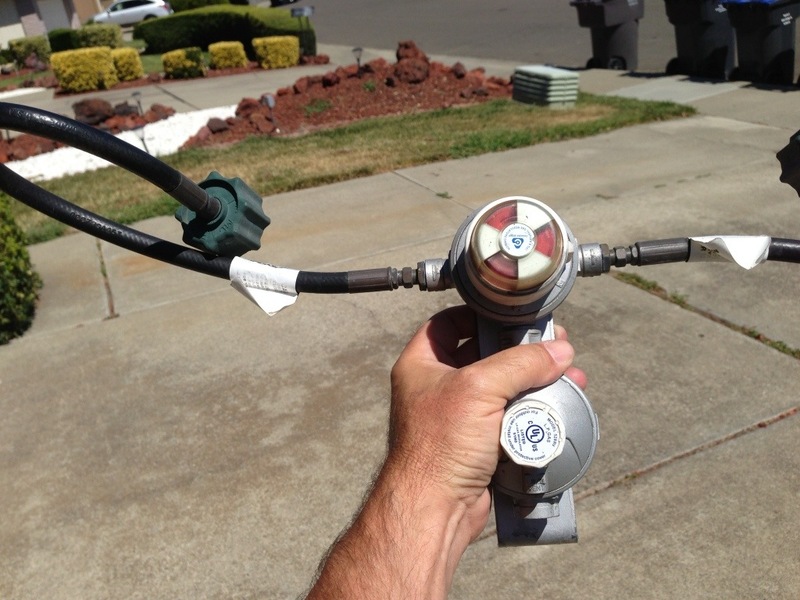 The new hoses match the regulators reversed-flair gas fittings perfectly. Always use two wrenches to tighten fittings. The connection to the trailer is a pipe fitting that I was able to reuse. Pipe fittings need some sealant on the treads since it does not seal gas like a flair connection. 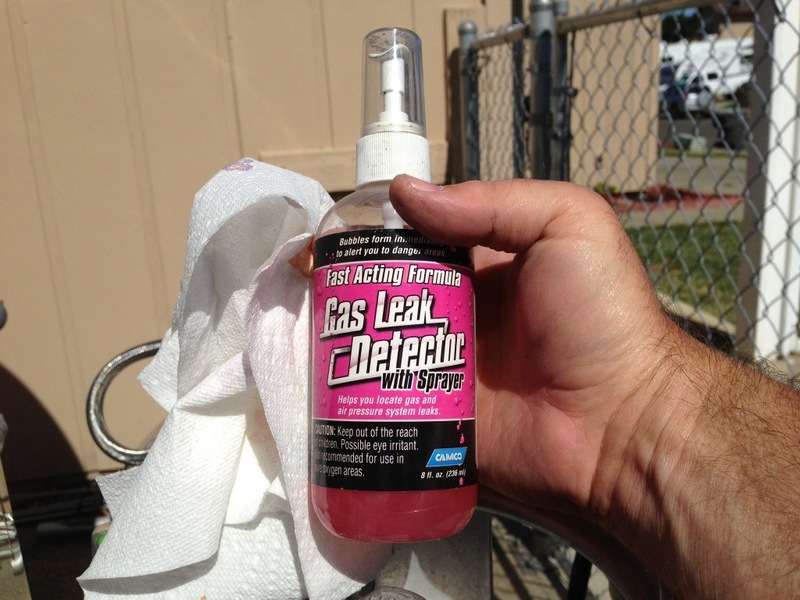 Always be sure to use a sealant rated for gas. Typically, it’s yellow as opposed to white, which is used for water. 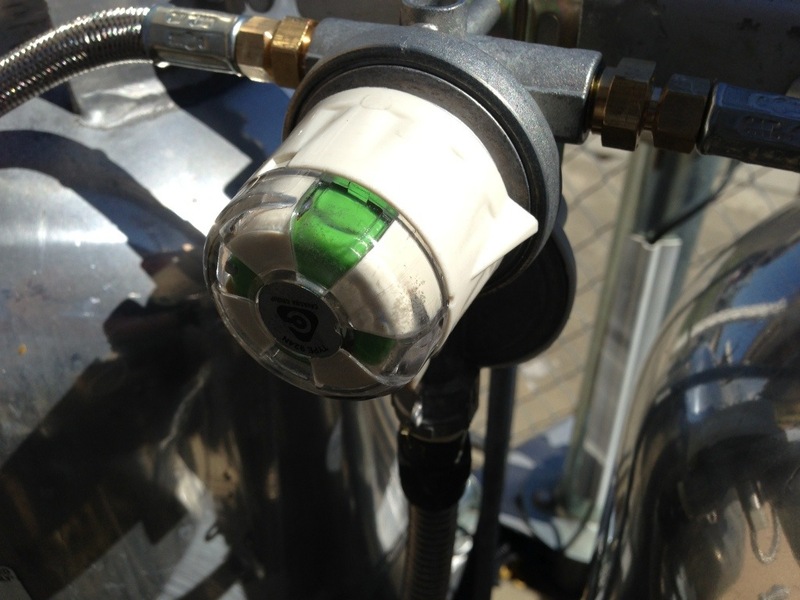 After all the connections were completed I checked for leaks with my gas leak detection spray. Everything checked out fine. Time to light up and give it a good test. I lite all three burners and the water heater. Then with both tanks open, I closed one tank and watched the indicator turn to red. I checked and all of my gas appliances were still running, meaning the regulator did its job and switched to the opposite tank. After rotating the regulator’s indicator selector, it turned green again. All systems go! One more trailer project off my list! This entry was posted in on July 14, 2013 by Tim.